For several decades many people in the Seward community–especially the library director, the staff, and frequent patrons–saw the need for a new public library. Every year, the Fourth of July sale of used books in front of the old Carnegie building became a vivid reminder that for every new book purchased, one had to be discarded. The original library structure located at 5th and Main was built in 1913 with funds from the Carnegie Library Commission. The original library building was overcrowded, provided minimal accessibility, had restricted parking, limited storage and cramped space. When compared to 20 communities of similar size, Seward ranked FIRST in rate of circulation, for both adult and childrens’ books, but ranked LAST in library square footage. 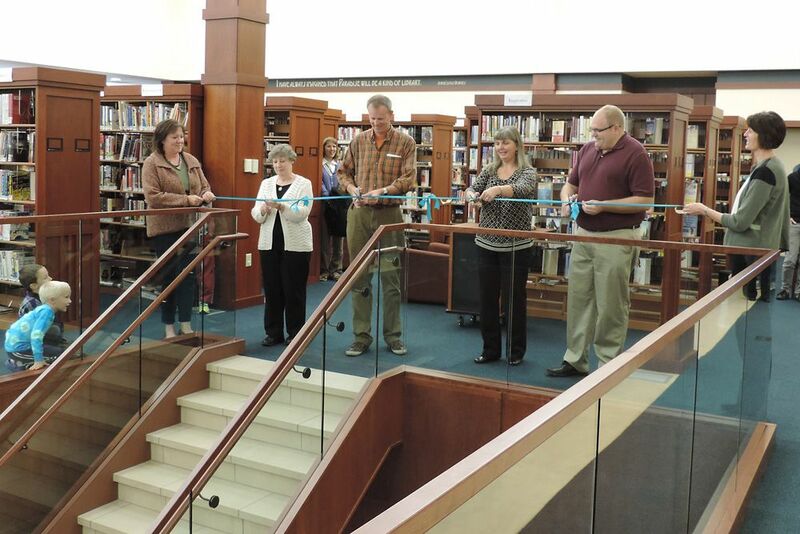 A new multi-funcational, quality library building was greatly needed in Seward. 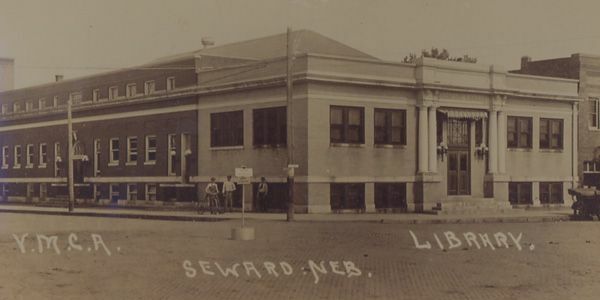 Wide-spread yearnings for a new building led to the establishment of the Seward Library Foundation in 1990. The Foundation came into being for one purpose: to provide more adequate library service for the community of Seward by looking into possibilities for a new facility. The first Foundation members were Arlo Bower, Doug Ellis, Duane Gabriel, Mike Hecker, Virginia Hughes, Becky Vahle, and Annette Wallman. The Foundation members considered many options. Some felt Seward had enough libraries already; ideas of a joint facility with Concordia University, or with the public schools, or with the Civic Center, were carefully considered. In the end, the Foundation decided that the best option was construction of a new building to house a public library worthy of Seward, and that the best way to fund this would be through public donations to cover most of the cost. In that way, the public would have a big stake in their new library. Over the years of planning and development, the public attitude shifted from questioning the need to impatience for a building project to begin. “Libraries are not made, they grow,” makes a good summary of the Seward Library Foundation’s patient efforts to achieve its goal. The first question that had to be answered was where this new library would best grow. For seven years, the Foundation examined and discussed various sites around Seward. The Nebraska Library Commission recommended a site somewhere downtown, but nothing was available. By this time, the membership of the board had changed, but the determination to build a new library was stronger than ever. In 1997, when the current site was selected, the Foundation Board consisted of Bob Dahms, President; Connie Phillips, Vice-President; Dawn Navis, Secretary-Treasurer; Vikki Gremel,, Historian; Cal Goding, Tony Vrana, and Lynn Wake. Library director Becky Baker provided countless hours of expertise and encouragement from the beginning of the process. In 1997 when John and Russell Keller agreed to sell their property for the eastern half of the library site, and the Jones National Bank and Trust donated the western half, the dream of a library near the Square became a reality. The generosity of the Kellers and of Steve and Max Wake from the Jones Bank meant that Seward’s new library would be downtown, an outcome the Foundation felt was especially fortuitous for the community. 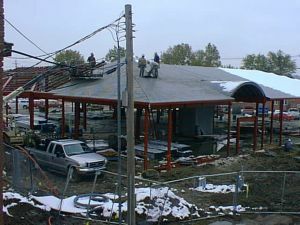 After acquiring the site, the board interviewed architects and selected Clark Enerson Partners early in 1998. They hired Sampson Construction as general contractor in February 2002. With “location, location, location” for the new library resolved, a gorgeous layout of the building planned, and the price tag estimated, raising the money to pay for it became the focus of the Foundation. The capital fund drive called “Writing the Next Chapter” kicked off in November, 1998. The Foundation members gave presentations and many groups held creative fund-raisers, and the money began to flow in. 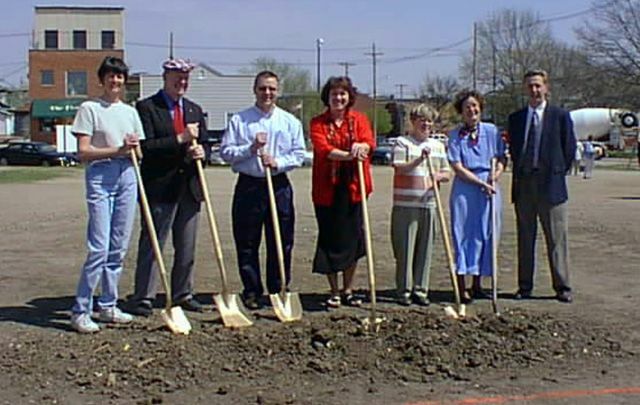 Groundbreaking was held April 17, 2002, with middle school students forming an outline of what would become the new building’s perimeters. Flags flew, the middle school band played, and there were speeches and cookies. 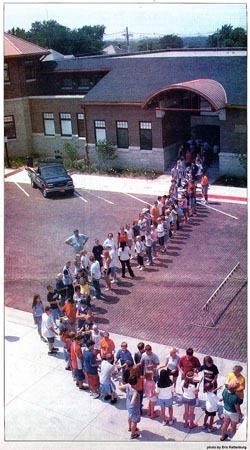 On August 22, 2003, community volunteers of all ages formed a “fire chain” and shuttled books from the old site directly onto shelves in the new library. When the library doors opened at 9:00 a.m. on September 2, 2003, a beautiful building had been built on schedule and below budget! 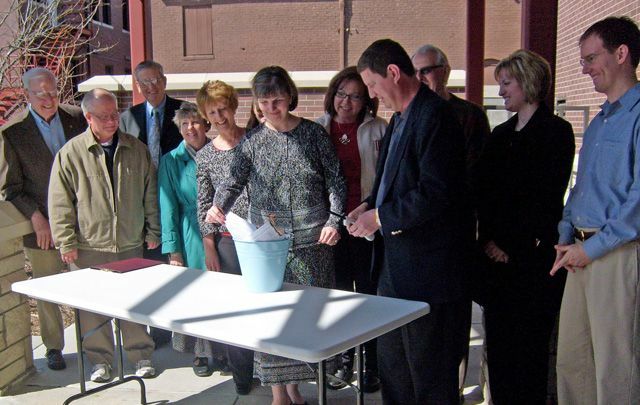 On April 13, 2008 the library hosted a Mortgage Burning Ceremony. The mortgage was burned outside of the main entrance in the presence of many current and former Seward Library Foundation members. Eight years later, Becky Baker and the library staff saw a need to open the lower level of the library to add space for additional adult fiction and give much-needed room to the children’s and juvenile fiction areas. The construction also included additional restrooms, conference and small meeting rooms, and a kitchenette. September 2013 was the goal for completion of construction, hitting the 10 year opening anniversary nearly to the day. Meanwhile, a plot of land across from the library became available, and the Foundation purchased the lot for additional parking. The seller gave a portion of the purchase price back to the library as a donation. The parking lot was completed in August of 2014. 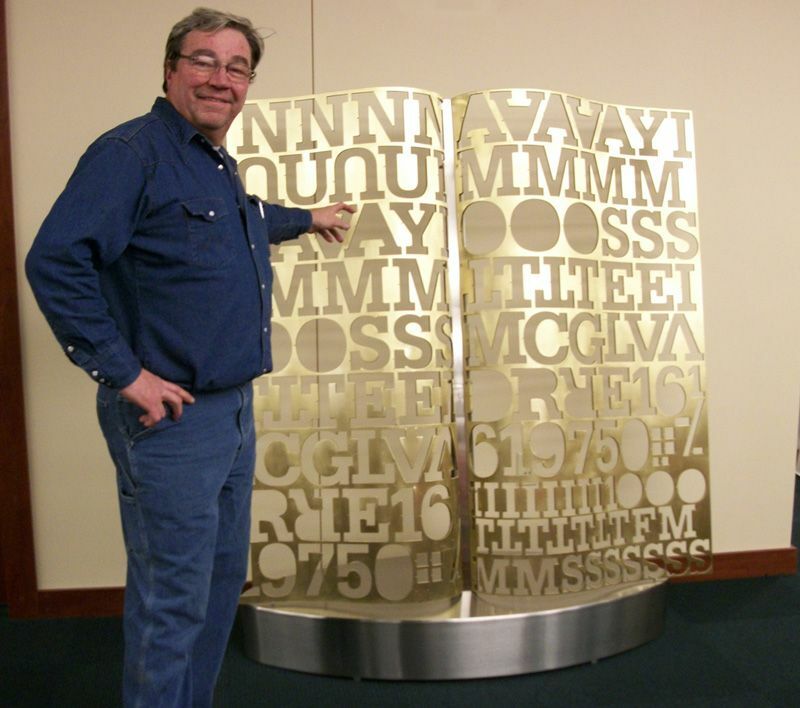 Also, in 2014, Geis Steel Tech of Seward donated and installed a brass sculpture in the new lower level. Dave Geis’ idea for the sculpture came immediately after his company was hired to cut out the letters for the Vietnam memorial honoring the ‘Brownwater Navy’ at Coronado Island in California.